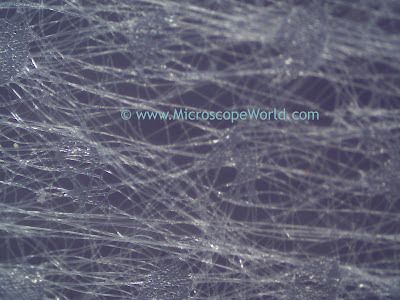 A customer of Microscope World recently needed to inspect the fibers they manufacture. The system they used included a stereo zoom microscope on a lighted stand. 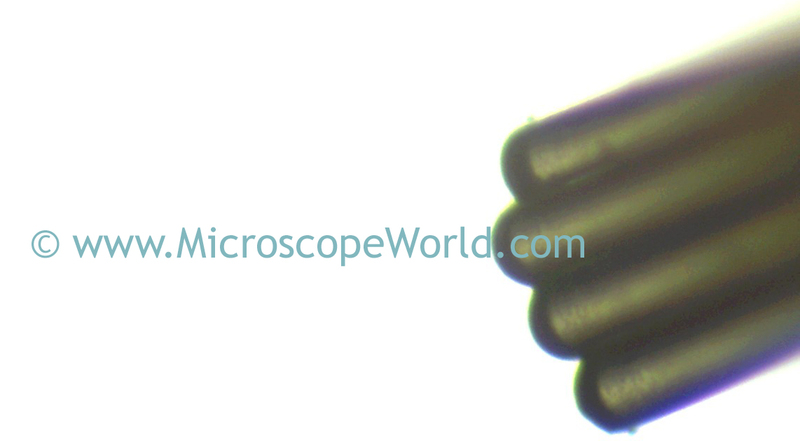 The images were captured with a microscope camera and the included software. 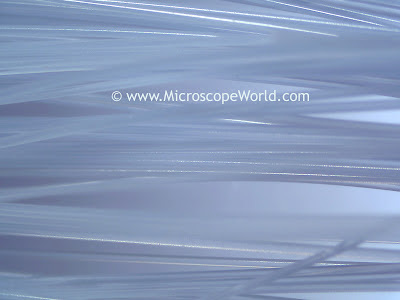 Fibers captured at 10x magnification with a top light using the clear glass stage plate. 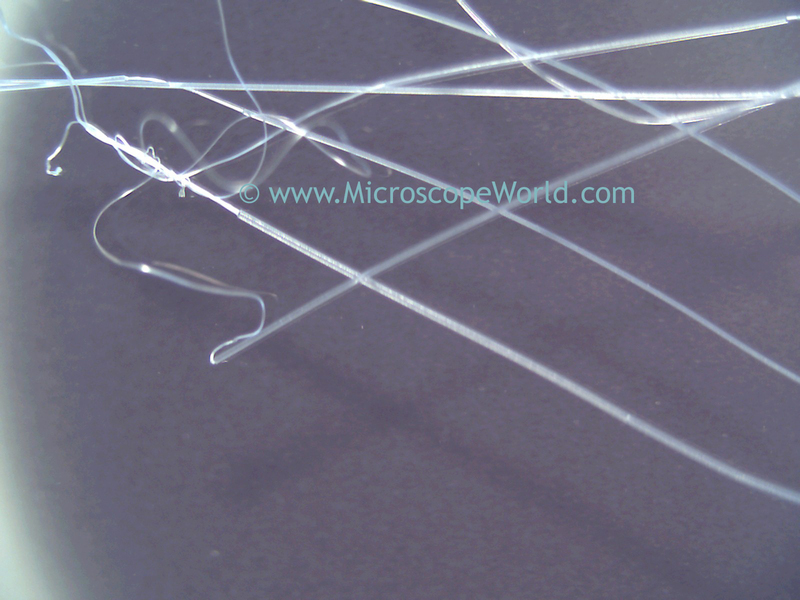 Fibers captured at 30x magnification using the bottom illumination only along with a blue filter. 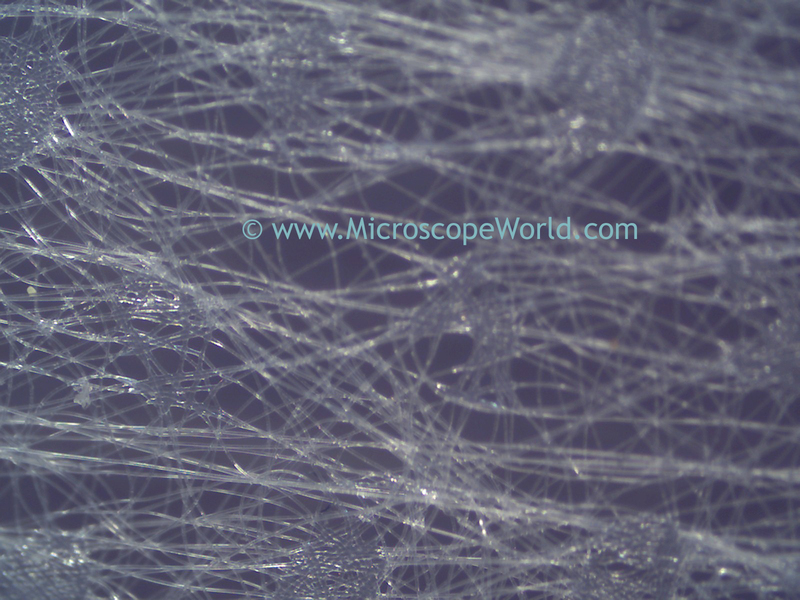 Fibers captured at 40x magnification under a stereo microscope with top light illumination. Coarse fibers captured with 60x magnification. 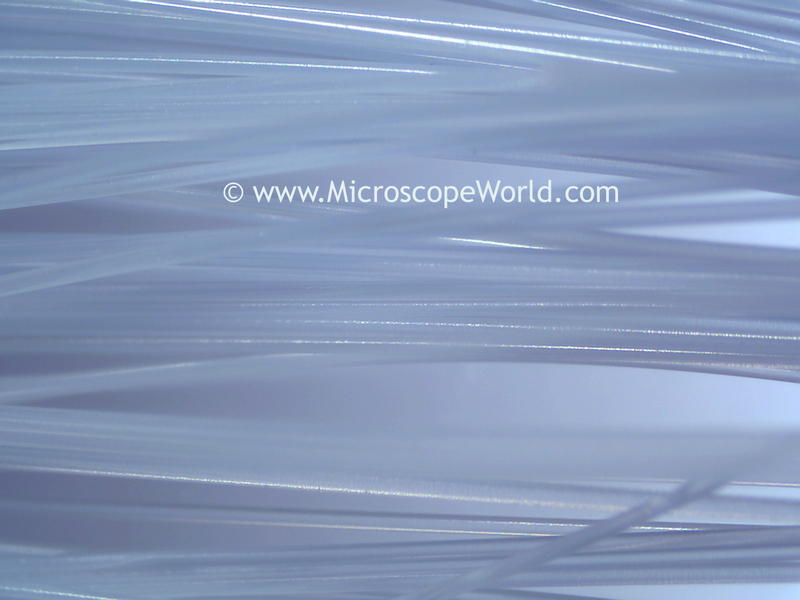 Four single fiber ends captured at 125x magnification.